Fred Perry originally requested an envelope design for direct mail. But, what really needed attention, was web presence. 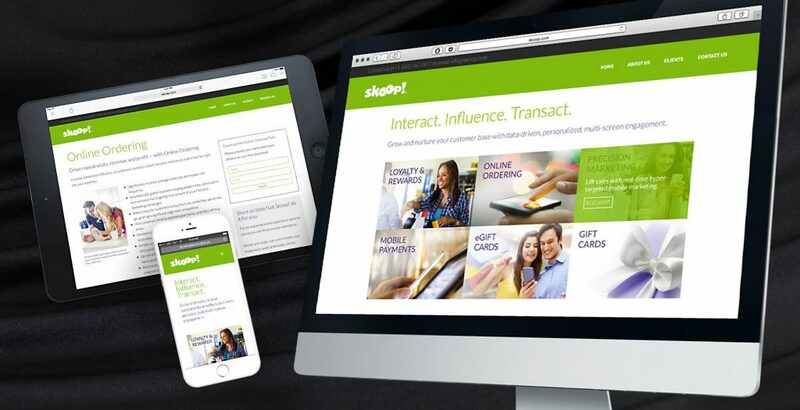 With a dramatically improved understanding of the target audience, hundreds of online applications were completed. The new strategy put us on par with larger competitors. 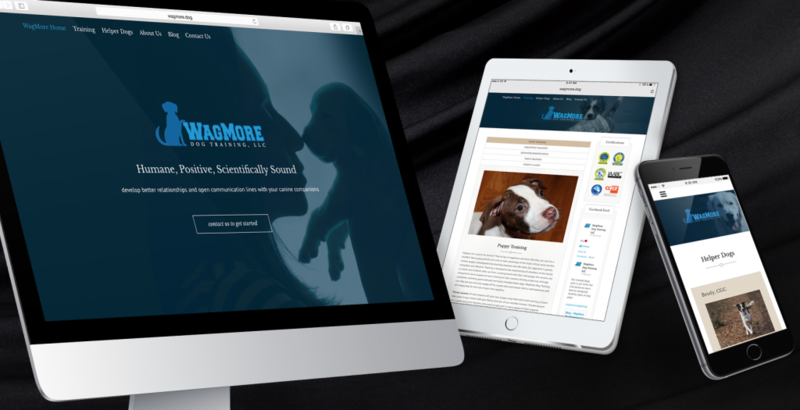 The trick was to find the perfect balance between professionalism and love, so that families know they can trust Wagmore not only to give compassionate care, but also maintain full control. Facebook feed shows their commitment to the community. 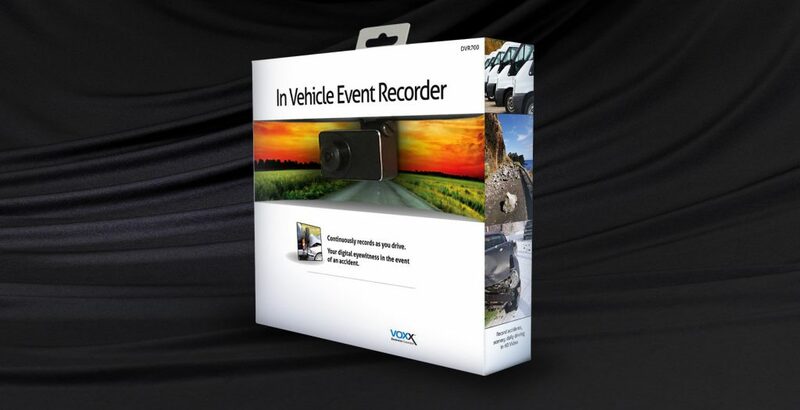 The dash cam gets repackaged for the American roadway. Let freedom record. 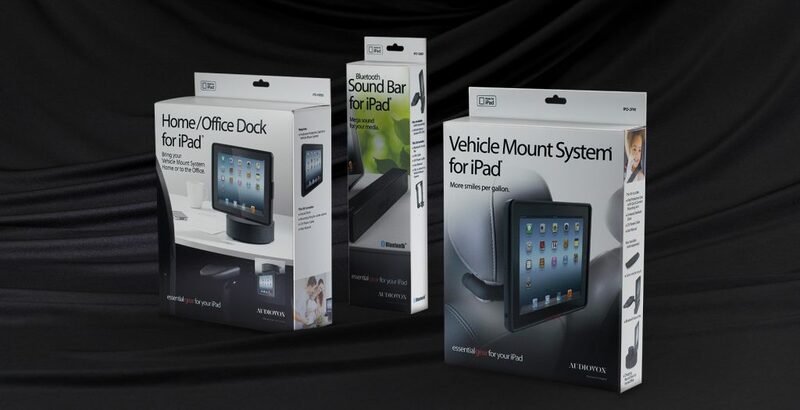 With accessories the trick is to focus on the usage without putting the product in an overwhelming environment. These sets provide just the right clues, and let the consumer fill in the blanks. skoop! 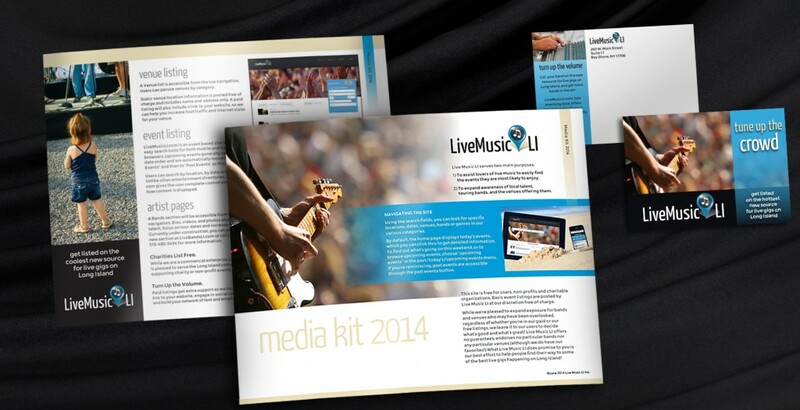 offers a suite of services that’s rarely this well integrated and mutually supportive. 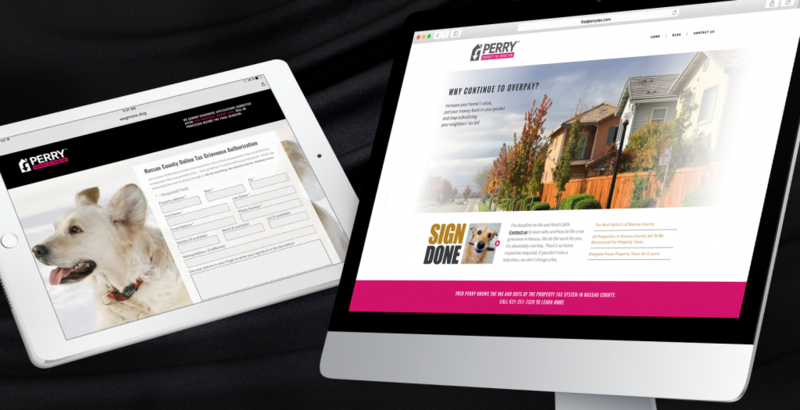 Our responsive home page grid offers a way to interactively connect the services, with an overlay effect, while simultaneously presenting and describing each of the six, separately. skoop! needed something to send to prospects who inquired about mobile marketing services on their web site. 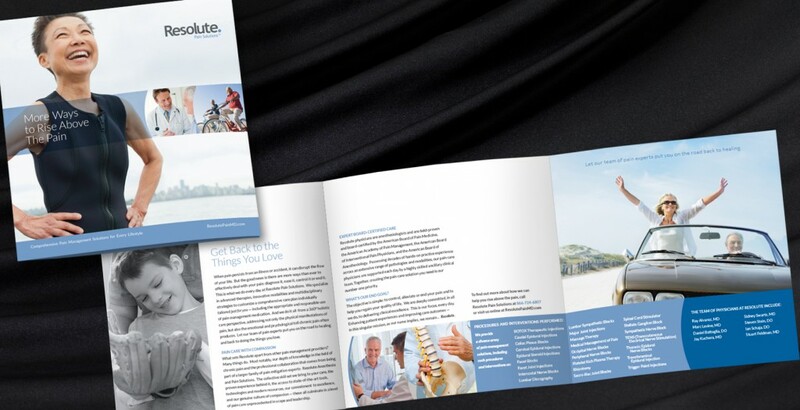 This series of single sheets packed a lot of detailed information on the back while reinforcing the key messages from the web site on the front. 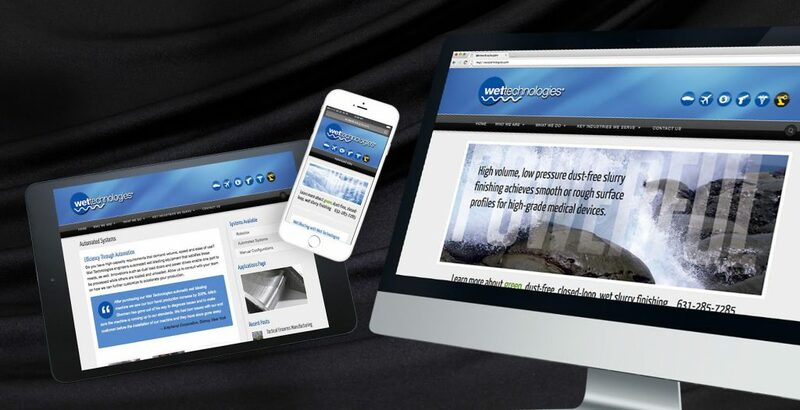 Known for its success in the Aviation field, Wettech executives saw huge potential in other industries. The Lamiroult team helped coax that content out of the minds of the engineers and into organized interactive paths. A big fan of the many talented musicians on Long Island, for me this project was a labor of love. While the season is short, summer gigs are my favorite and I aimed to capture the easy breezy feeling of our coastal venues. 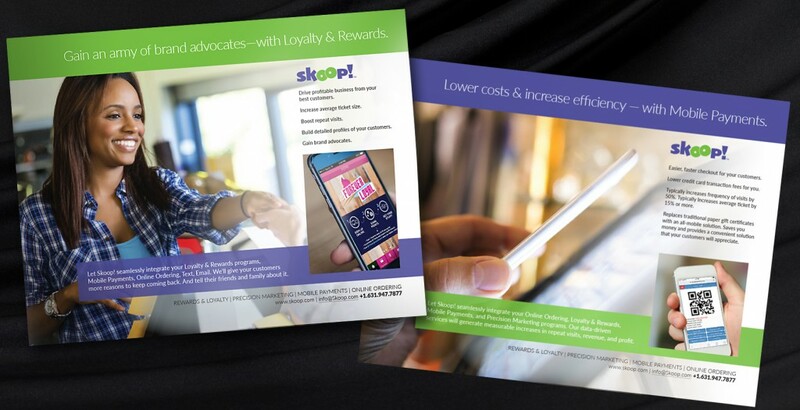 Strong contrast and tightly cropped images provide bold stoppingpower while adding a sense of urgency to the singular large words. A 21st century approach to Pain Management. 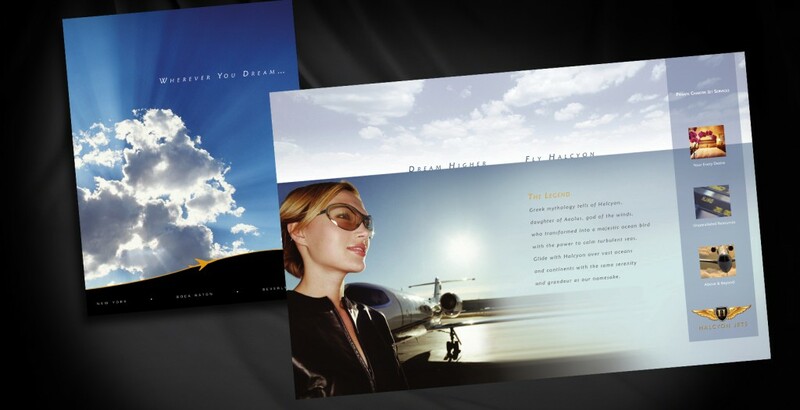 The Linx team set an elegant tone for this ultimate luxury provider, making it easy for me to orchestrate verbal and visual poetry, cool and dreamy. How many times can you introduce the same product with a predictable upgrade, and still create excitement? That was the challenge here, and I offered Scott four concepts: techy, extreme digital, Ansel Adams and world travelers. Olympus liked the panoramic landscape in the “Ansel Adams” concept, but wanted the sell sheet to reflect present-day popular culture instead. 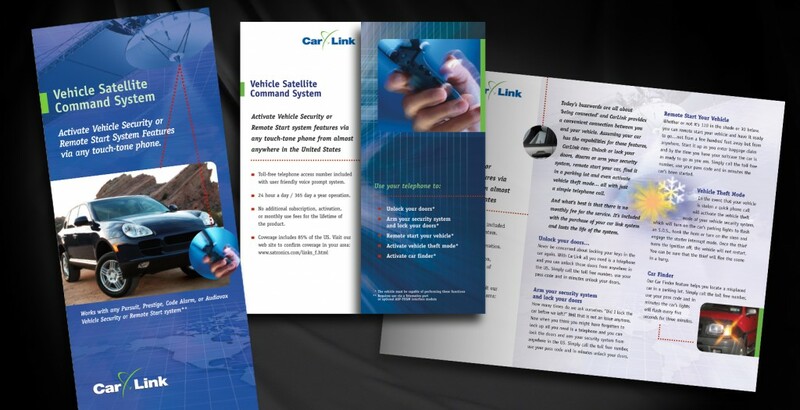 There’s such a proliferation of electronic gadgets available, and the market moves at such a high pace; Audiovox wanted the pictures to tell the entire CarLink™ story. 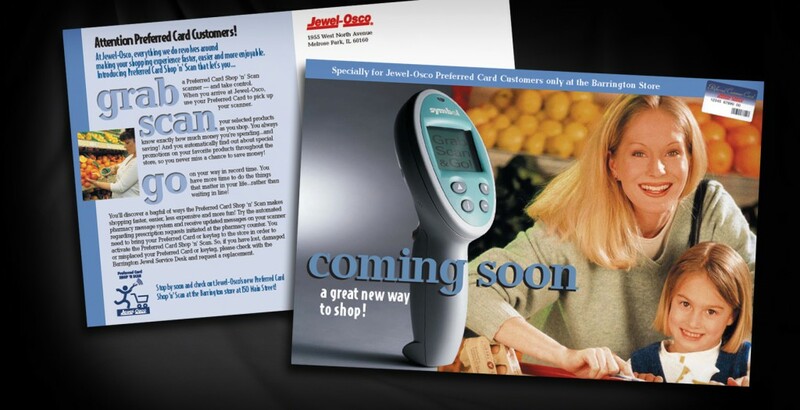 Symbol Technologies wanted Jewel-Osco’s debut of their Shop’n’Scan personal scanner to be an attention-getting, business-generating event. 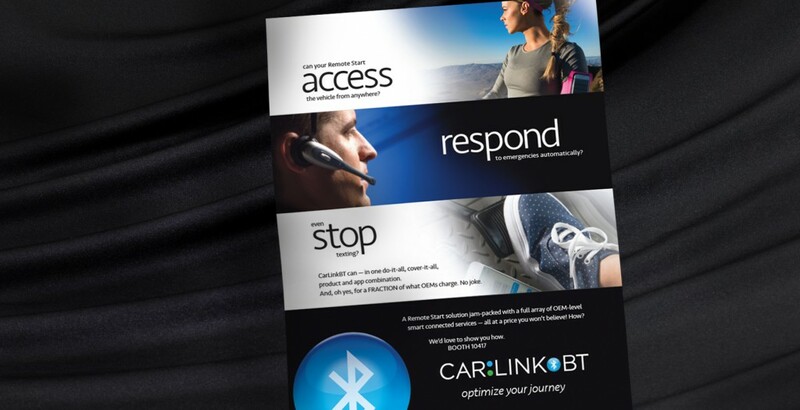 This direct mail campaign was designed to get shoppers excited about trying the new technology. A user-friendly instruction manual introducing the scanner was also provided. 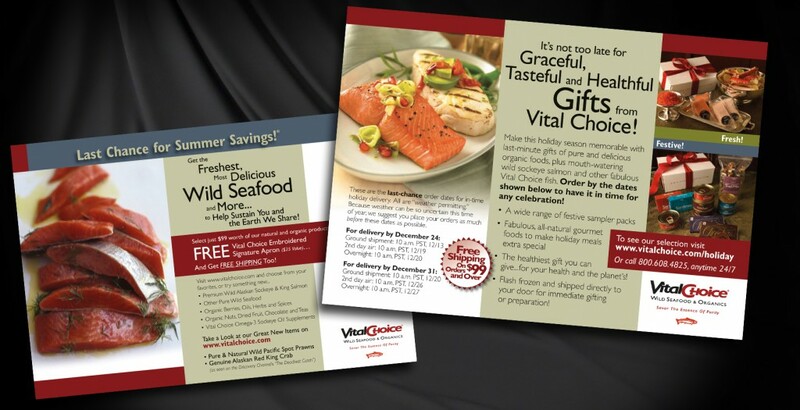 This ad campaign was available to Symbol Technologies Business Partners through its on-line co-op advertising program. Alternate heads and subheads by Richard Wall were offered, and the client could also customize specific areas of body copy to suit his unique goals or targets. 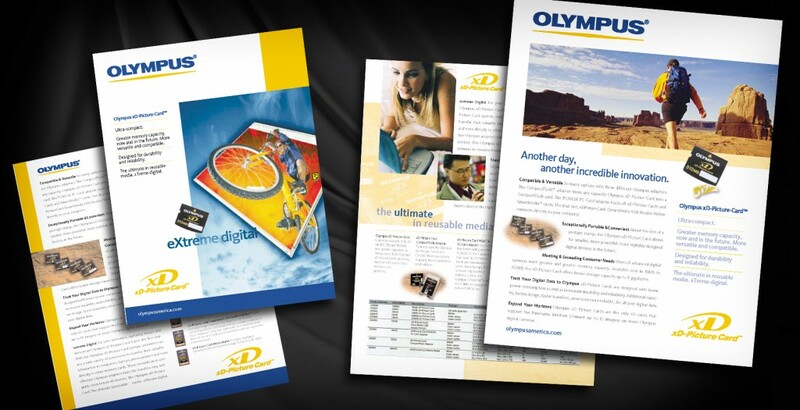 This series highlights the business advantages of Symbol’s products and its partners’ services. 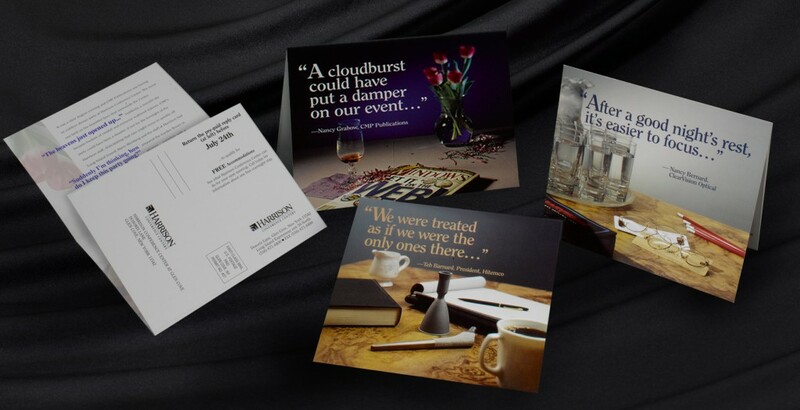 Beautiful photography and bold design gave these little postcards big impact. Of course, timing is important too. 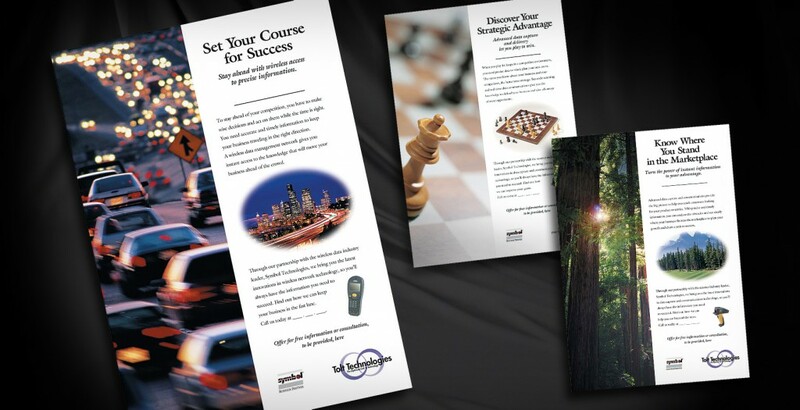 This assignment was to address Sprint’s top 200 long distance clients, selling Global Account Management. 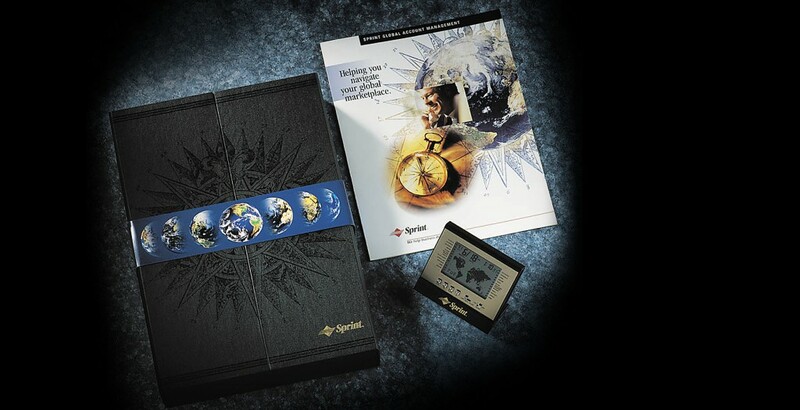 This sales kit was designed to inform our target of his/ her VIP status with Sprint, and impress the high-level executive with the wide range of services available from Sprint and the special attention he or she would receive. The most meaningful testimonials come from neighbors that a target audience will recognize. CMP Publications, Hitemco and ClearVision Optical are mainstays on Long Island, and they had great stories to tell. Our limited time Free Offer was not specific but the stories were so detailed, they left no doubt that Harrison could handle any local event. Academy Electrical Corporation had the kind of problem every manufacturer ought to: they could hardly keep up with high consumer demand. 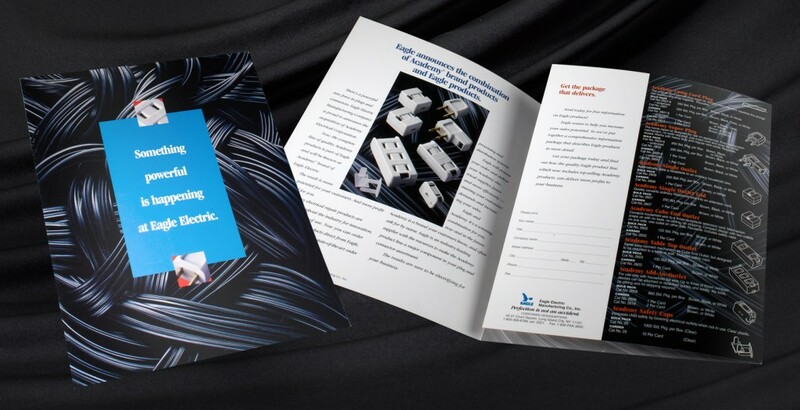 So when the larger Eagle Electric acquired Academy’s product line, the switch was flipped and this innovative line of snap-on plugs and outlets became a hot profit opportunity for Eagle distributors. 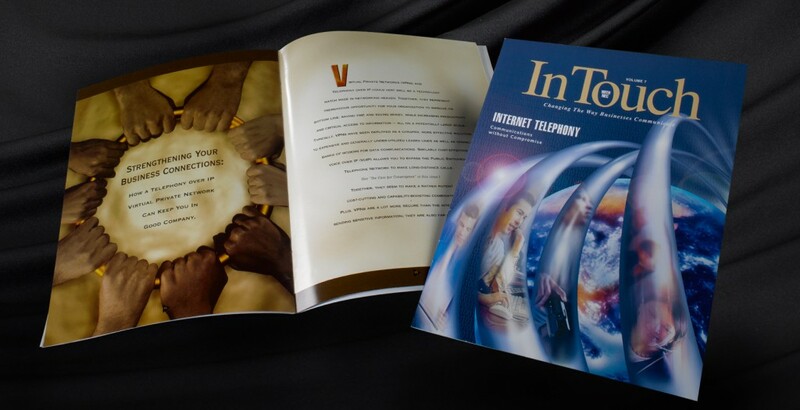 I always enjoyed working on the InTouch newsletter because with just weeks to produce the 24 to 36 page book, Scott and Lisa didn’t hesitate to call in their best talent to collaborate. I loved the warm tones of this photo (sorry, it is stock), which was perfect for NECs story of how VPNs bring people together, and also illustrated my personal love for the creative team.